It took almost two years of construction, more than 1,400 tons of steel and 9,500 m³ of poured concrete. 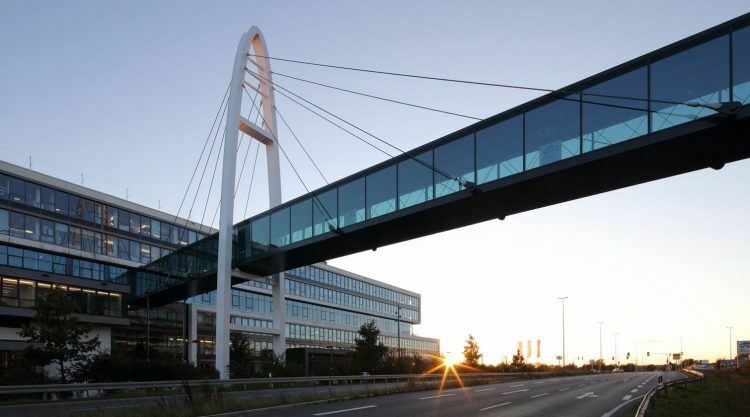 Now all departments have moved in into PUMA’s new office building, that is connected with the old building through a bridge across the road in Germany’s Herzogenaurach. 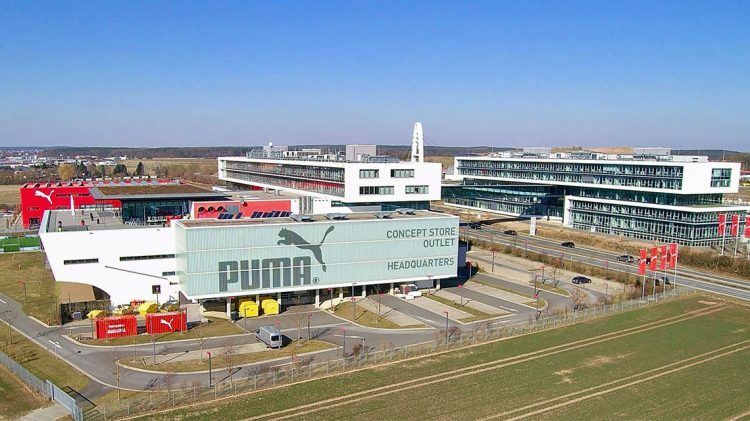 It all started in May 2016, when the idea was to combine PUMA’s current two locations in Herzogenaurach into one. In July 2018, the PUMA employees moved into their new offices in NOHO, as the modern, glassy complex is called. NOHO stands for North Herzo. Its 9-year older identical twin has been therefore named SOHO for South Herzo. From an urban planning point of view and in the context of the overall design was the reflection of the existing Building (SOHO) the best solution. 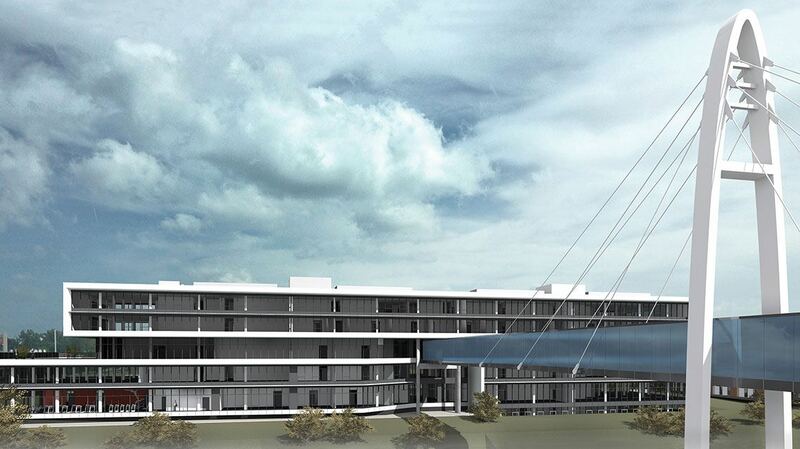 That also shows off the bridge as connecting component of the two buildings in the best way. With an effective area of 10,200 m² and six floors, NOHO can accommodate up to 550 employees, a little bit more than the 640 employees currently working in SOHO. 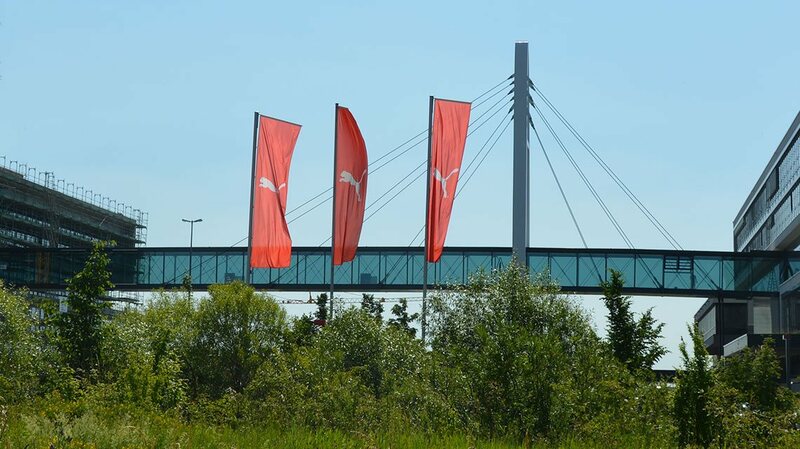 Providing space for future growth, the PUMA headquarters have a capacity for almost 2,000 employees in total. The new building’s outer appearance resembles that of the old one and offers a brand-new office design concept in the inside. An obscured glass surface of 5,100 m³ provides the bureaus with floor-to-ceiling windows that flood the rooms with light. The open-plan offices can be redesigned as needed for projects and workgroups thanks to mobile, sound-absorbing furniture elements. Numerous soundproof “telephone booths” offer possibilities for undisturbed phone calls. There is a great deal of research on a communicative working world in general. That is also the case for PUMA. That is why we, in 2016, started to develop a plan to bring PUMA’s needs in terms of communication into an office concept. A special highlight of the new building are numerous new sports facilities: A 500m² gym with two rooms for fitness classes, an outdoor area with a soccer pitch and a basketball and beach volleyball field as well as a 500 m² multifunctional area.